Looking for private in-home or in-studio Clarinet lessons? Our Elgin teachers are ready to get you started. Find your teacher today! Instruction for fundamentals and techniques of clarinet as a primary instrument (or doubling instrument) in both classical and jazz styles. My students excel in everything they do because of the techniques we learn that incorporate skills to strengthen learning in subjects including: math, science, languages, reading, writing, creativity and many more life long skills. I challenge my students and encourage them to have fun most of all in pursuing their passions for music. I am a passionate educator. I own a music school in Oceanside, California called Tilghman's Academy of Music. I received my music degree from Berklee College of Music. All of my students go on to be successful performers and learners in all fields. I have had students from the age of 3-85 years old. I am a professional performer and instructor. I guarantee to make it my goal to help each student reach their maximum potential. My 10 year old son really enjoyed the clarinet lesson. He learned a lot and thought she was very nice. An excellent first lesson. Supportive, very helpful and knowledgeable. Kaitlyn was great! She knows her stuff and my son is really excited to improve his clarinet skills. I teach clarinet primarily through the tried and true Rubank method. Students will learn how to properly care for the instrument, how to read music, music theory, instrument technique, practice techniques, ear training (how to play by ear), reed selection, and repertoire. I also employ custom exercises specifically for clarinet to help my students progress the fastest. I have taught beginning clarinet in my band programs for 6 years now. I have a proven method that will work for any absolute beginner at any age. 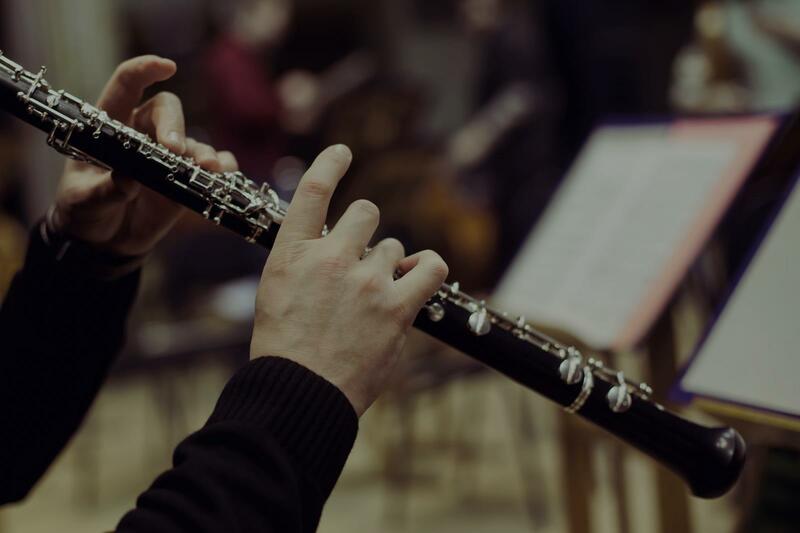 We will talk about tone production, reading music, reeds, and many other fundamental skills needed to get you off the ground playing the clarinet. After the 1st year of lessons, I would recommend you move to a teacher who plays primarily on the clarinet. Experienced clarinet and bass clarinet lessons instructor. Each lesson is individualized to every student and their goals in an inclusive and personal method. Together we will build musical skills, efficacy, and make sound! I am a professional freelance clarinetist and educator based in the MSP area! I have a Master of Music in performance from the University of Minnesota, Duluth. I have performed with the Minnesota Ballet Orchestra and the Duluth Superior Symphony Orchestra. I have also performed in international music festivals such as Nief-Norf, soundSCAPE, and at the Minnesota and Wisconsin Music Educator’s Conferences. I currently teach music and a substitute in Saint Paul Public Schools and previously taught at the collegiate level, so I am comfortable working with any age!